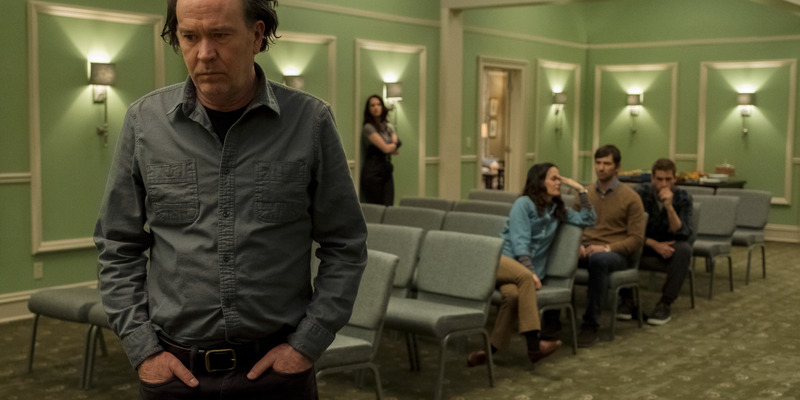 Netflix’s new horror series, “The Haunting of Hill House,” is also a surprisingly emotional family drama, and one of Netflix’s best original shows. Director Mike Flanagan (“Gerald’s Game”) creates a creepy mood throughout the series that leaves the viewer in suspense. The show’s true horror beyond ghosts, though, comes from our real-life human fears. The show’s revelations are surprising and satisfying, and will leave viewers talking. Netflix’s new original TV series, “The Haunting of Hill House,” could also be described that way. It takes the concept and expands it over the course of 10 serialized television episodes. Not only is the show a chilling horror series, but it’s also an emotional story of a family being torn apart, often by the supernatural forces at work against them, but also by their own faults. It’s also one of Netflix’s best original series. “The Haunting of Hill House” is loosely based on the 1959 novel of the same name by Shirley Jackson. It follows the Crain family between their present lives and the past, when they lived in the haunted Hill house for a summer. The parents, Olivia (played by Carla Gugino) and Hugh (played by Henry Thomas in the past, and Timothy Hutton in the present) move them and their five kids to the house to flip it, but mysterious forces beyond their control upend their plan. Years later, the Crains are still haunted by their past, even though they don’t want to admit it, and spread out between the east and west coasts. The oldest, Steven (Michiel Huisman), is a horror author. His sister, Shirley (Elizabeth Reaser), who is a funeral director, condemns Steven for using their family trauma to sell books, and urges their siblings not to take his royalty checks. Theo (Kate Siegel, who is the standout performer) is living in Shirley’s guest house and is a child psychiatrist with a mysterious gift that requires her to wear gloves at all times. The youngest, twins Luke (Oliver Jackson-Cohen) and Nell (Victoria Pedretti), have a mental connection with one another, but Luke is a drug addict and Nell is still fixated on her time in the house thanks to a recent tragedy. The show flashes between the present and past, and most episodes focus on a particular family member. But it always feels integral to the story, and never like a gimmick. By the end, every plot thread is addressed in a satisfying, and shocking, conclusion. Flanagan sets an eerie mood throughout the show in which the viewer is kept in suspense. But it’s not just ghosts that make the show scary. Like any good piece of horror, “The Haunting of Hill House” exploits our most common human fears: death of a loved one, addiction, betrayal, etc. And it does so in surprisingly emotional ways. It’s tough to go into too much detail about the show without diving into spoilers. Some of the best parts involve revelations I didn’t see coming. That’s why, though, that this is going to be a massive hit that people will be talking about, and not just because it makes for a perfect Halloween binge. 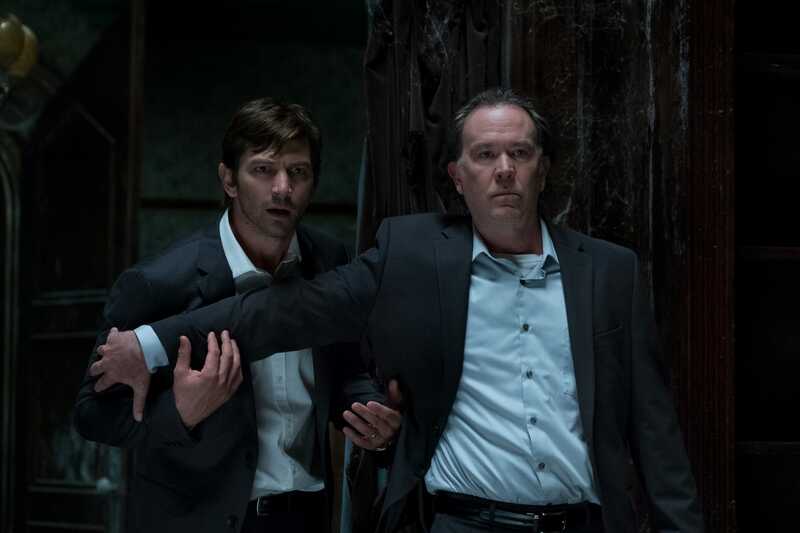 “The Haunting of Hill House” is available on Netflix starting Friday.